You’ll be glad you stopped by Novel Matters today. 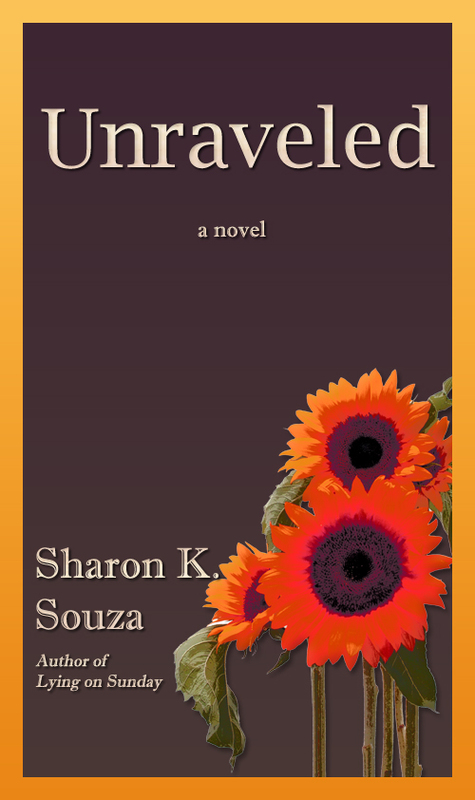 Our special guest is Aria Winters, the protagonist of Sharon Souza’s new release, Unraveled. Also, you can win a Kindle or hard copy of the book by leaving a comment. We'll contact the winner tomorrow (9/6) after 5 PT. Aria is fresh out of Bible college, desperate to put some miles between her and her family, so she accepts a missions assignment to Moldova. When a student under Aria’s care goes missing in the human trafficking underworld, her faith threatens to shatter. Now, with the help of the very people she wanted to flee, Aria must rebuild her faith and rediscover her mission. P - Aria, I've been looking forward to this chance get to know you better since I first read Unraveled. Your story mesmerized me. I appreciate the honesty you bring to the story, but before we talk about your adventure, I'd like to find out more about the Aria from before the first page. Ready? What is your biggest fear and who have you told about that fear? Who would you never tell and why? Sorry, I guess that's more than one question. A - Well, Patti, you don't waste any time. This is going to be as painful as I feared. Ha, there's that word, fear. I'm going to pretend that none of this is for public consumption, and that this is nothing more than a journal entry -- a journal I plan to burn before the day is out. My biggest fear is that my family will learn the truth about the Aria Winters they believe can do no wrong. Because I did a terrible wrong, and I've spent the last eight 8 years making excuses for why it wasn't really my fault. And who have I told? NO. ONE. Who would I ever tell? Absolutely NO.ONE. Not even Kari Zalasky, who's been my best friend forever. P - Maybe I did jump out of the starting gate a bit prematurely. I’m new at this interviewing thing, but you did a great job answering the question. Let's go back to your childhood. At the beginning of Unraveled, you're eager to stretch the boundaries of your life. That's understandable for a 24-year-old. Tell us something about where and how you grew up. P - I remember having the same feelings at your age, and I didn't live on a compound. Still, I could hardly wait to get out on my own. Strangely enough, you went from one "compound" to another rather crowded living situation in Moldova (I had to look it up on a map!). And you're so young. Tell me how you were prepared for living and working overseas. What do you wish you had known before you left? A - How prepared was I? Well, let's just say I had plenty of mousse, but no work boots or gloves; not even an appropriate outfit to wear as "Teacher." And as for what I wish I'd known ... I wish I'd known how catastrophic my presence in Moldova would prove to be. P - Since we don’t want to give away too much of your story, let’s sidestep in another direction, just so we can get to know you better. People have preconceived notions about California girls. In what ways do you live up to those notions and how do you diverge from them? A - Well, I love being a girl from California, but I don't want to be perceived as a "California girl." I don't fit that mold at all. For one thing, I'm not blonde. Ha. I've never been on a surfboard, and Hollywood isn't my Mecca. Okay, I did hope Ryan Gosling was in the top 10 in People's "50 Most Beautiful" countdown magazine that I took to Moldova ... and left in Moldova. That was a bummer. I do come from a privileged family, but only because my dad and grandfather worked hard. And I could have been from any of the 50 states and made that claim. It just happens that I come from California -- the best of the best when it comes to places to live. I do wear flip flops all year, and I've been known to wear shorts up till Thanksgiving, but then I get serious about winter. Which we do have in California. Well, in northern California anyway. I don't think there's winter in San Diego. Have you ever been there? P - It just so happens I grew up an hour north of San Diego in San Clemente. I live in Colorado now, but that doesn't stop me from living by my new motto: I'm a beach bunny. I'm funny. I'm trusting Jesus with my future. What's your motto? A - San Clemente, huh? And blonde? Who's the real California girl here? Well, Patti, I like your motto. Celie -- that's my mom -- would love it. The Shunk-Winters' family motto is: "We're Nuts!" And let's just say this nut didn't fall far from the tree. P - Very appropriate! But you'll have to explain your answer to our readership, or they'll think the compound is code for asylum. A - The compound is 120 acres of prime farmland in northern California where my family and I live. 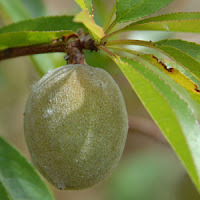 We grow nuts! Walnuts, almonds and pistachios. In the center of that 120 acres are four 1-acre parcels. My Mam and Opa live in their house on one of the acres, my parents, sister and I live in another, my sister and her fiancé are building on the third parcel ... and the 4th belongs to me, where I supposedly will live with my husband someday. But I wouldn't mind letting the stitch slip on one of the granny squares and let my parcel unravel from the clan. I love my family. I do. But I need some space. Lots of space. P - Thanks for clarifying, Aria. I heard recently that the people we know the best, the ones we are most intimate with, can be the most irritating. Parents and grandparents would certainly fit that category. Oh, the stories I could tell! Let's move on to a topic central to your story. Many readers will relate to your spiritual angst in Unraveled. In this quote you're experiencing a tender time of fellowship with God: "The journey I'm on is like riding a carousel. Up one minute, down the next. Inflated with faith, then, whoosh, all the air is gone. I'm a leaky vessel, but can't see where to patch up the holes. 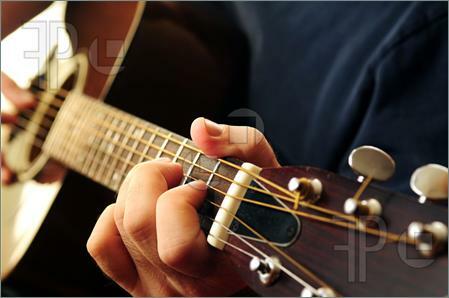 So I fill and fill and fill, hoping one of these days it'll hold." What would you say to someone who told you this? A - I guess I'd have to tell them what Opa would tell me. "Baby girl," he'd say, -- of course, I'd leave off the 'baby girl' part -- "you may not be filling with the right kind of wind. The Wind of the Spirit is what you need. It tends to hold when nothing else will." Then he'd wink. I doubt I'd say it with the same conviction Opa has, but the words are right, that much I know. P - Opa is very wise, and it seems he’s passed that wisdom on to you. We're all about reading and writing here at Novel Matters, so our readers would be interested to know what you're reading these days. What was your favorite read-aloud book as a child? A - I loved the Eloise stories by Kay Thompson, loved her sass. And imagine -- living at The Plaza. As for what I'm reading now, One Hundred Years of Solitude, because of the great endorsement from your latest Author Interviewee, Athol Dickson. When he said it was the best novel ever written, I had to see for myself. I'm not far enough into the story to agree with him, but I will say I'm glad he recommended it. P - I'm glad you caught that interview with Athol Dickson. Have you considered writing more about your experiences? I find your voice so compelling and honest. A - Thank you for that comment. If there's one thing I learned from spending time with Andy in Moldova, it's to be honest. Or at least real. Your pretenses don't stand a chance with that guy. And who knows, maybe there's more to my story -- or will be. P - Ah, Andy, I was wondering if you would bring him up. Any updates on your relationship? A - Hamilton Andrews -- Andy -- is about the most exasperating guy I've ever known, but when you talk about honest, they don't come any more honest than Andy. I admit there's a fascination there, but it's tempered with a whole lot of angst. Part of the fascination is that he plays the guitar almost as divinely as Opa -- and I'm a sucker for guitar. Say I were interested in Andy, it's highly unlikely he'd be interested in me. Johnnie -- she's my sister -- tells me I'm nuts not to see a two-way attraction there. But remember, everyone in the Shunk-Winters clan is nuts. P - I wouldn’t sell yourself short, Aria. You have much to offer someone like Andy. And with that, let me thank you for chatting with me today. Your story stirred me with its beauty and integrity. I’m more hopeful knowing there are young women like you charging into the darkness. Images of granny squares and carousels will stick with me. I'm guessing so will the rest of Aria's story. I have been waiting to pick up your book from amazon, but frustratingly enough, every time I go to order it, sold out! Kaput! Gone! BAH! But that's okay; one day . . . . Thanks for the post today, that gave me a little boost of energy. Megan: Really? A Californian accent? I had no idea! When I was in high school, I traveled to Dallas, Texas where the southern drawl is a beautiful thing. They kept asking us to talk. They loved how we said, "You guys" instead of "y'all." Cowabunga, dude. RJB: Sharon is a word master. You'll love her skill of storytelling. S.F. : That's curious about the book being out of stock. Hmm? The hard copy is print on demand, so it should always be available. And, well, the Kindle version should be too. We'll look into it. You WILL love the story. I read what excerpt was available on Amazon the other day and want to read the entire story. Thank you Novel Matters for these teasers. What a creative way to illustrate the art of interview from both sides; question and response. Oh, anonymous (above), you mean there is not closure in this book? I, too, loved the concept of the granny squares. :) How we long for both connection and independence. Aria, enchanted to meet you. I wish we could've met while you were in Moldova. Maybe next time. I can't wait to get to know you better. Patti- I'd like to sit down for a chat with you too sometime. Only may I ask the questions, please? Anonymous: What a great idea! I'll pass it along. Cherry: Glad you enjoyed the interview. Aria and I had fun talking. Such an interesting and thoughtful young woman. Vonilda: I'm glad you pointed out how we are contradictions and our character should be contradictions. That's one of the many things that make us human and real. Wanderer: We can chat anytime. When I'm not interviewing, I'm prone to talk about the weather. Very safe. Heather, thank you for the compliment. I can't tell you how much I enjoyed getting to know Aria and writing her story. Cherry, yes there's closure. Absolutely. But I always like to leave one thread ... well, unraveled, for the reader to think about and chew on. I'm glad you're all enjoyed Aria's interview. I hope those of you who are reading Unraveled are enjoying it. Only read a few words - don't want anything spoiled. I'm currently reading this beautiful novel. Please, don't add me to the drawing...I just wanted to stop by and say how wonderful Sharon's book is. Thank you, Susie! I appreciate the endorsement! That's Aria, all right. Glad you enjoyed the interview, Samantha. Loved the interview! 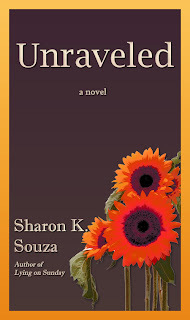 Can't wait to read Unraveled. I'm new to your work and am looking forward to diving in. SF Foxfire -- Congratulations. Your name was drawn as the winner of a copy of Unraveled. Email me with your address and I'll get it sent to you. Whoa!!! That's awesome! Thanks, guys!!! Um, Sharon? How do I contact you? Just want to make sure I do it right. S.F. Go to the Contact tab at the top of our page. I'll get your email that way. If I don't hear from you today we'll try something else. Congratulations, and I really hope you enjoy Unraveled.